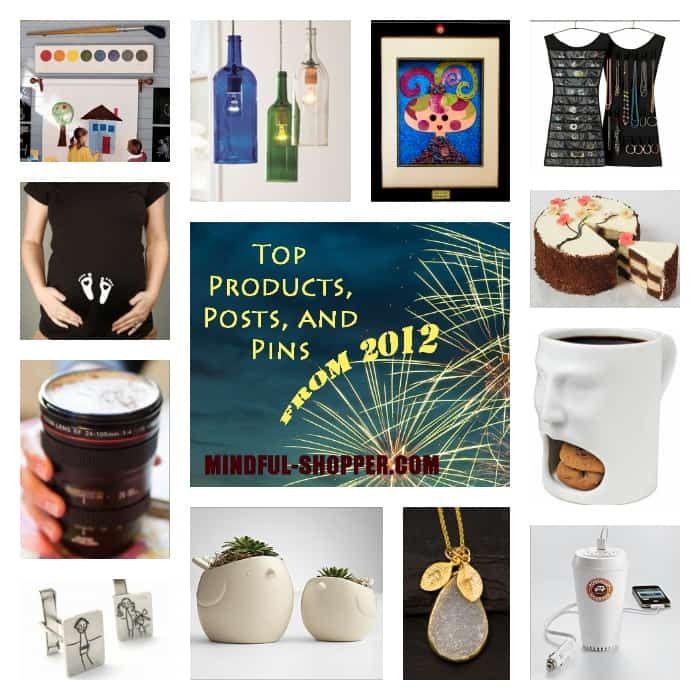 Top Products and Posts from 2012! As part of my transition to a new year, I decided to take some time to reflect upon the previous one, both on a personal level and about The Mindful Shopper. It is pretty hard to improve upon things if you don’t take time to look at both the triumphs and challenges from the past, right? As part of this process, I wanted to share a few Mindful Shopper posts, products, and even some Pinterest Pins that were favorites in 2012. 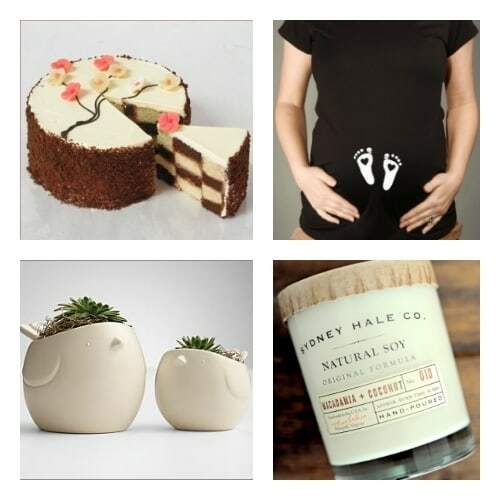 Chocolate and Vanilla Butter Checker Cake ($28.50). Baby Love Footprints T-Shirt ($27) by Jellybean Apparel. Hen + Chick Grow Kit ($59.95). Macadamia and Coconut Candle ($28). Canon Camera Lens Mug ($24-$30). Little Black Dress Hanging Jewelry Organizer by Umbra ($15.37). Car Gadget Charger ($49.95). Inspirational To Be Brave Print ($30) by Artist Mae Chevrette. Click Here: For more “Fantastic Gifts For Graduates”. This is my favorite post from 2012! I so loved coming across the great items for this post. There is nothing like owning an item that inspires you! My favorite item from this post is the I Am Enough Print. I absolutely LOVE it! What a wonderful motto for all of us. Lovely Hello Courage is by Artist Kelly Rae Roberts ($21). 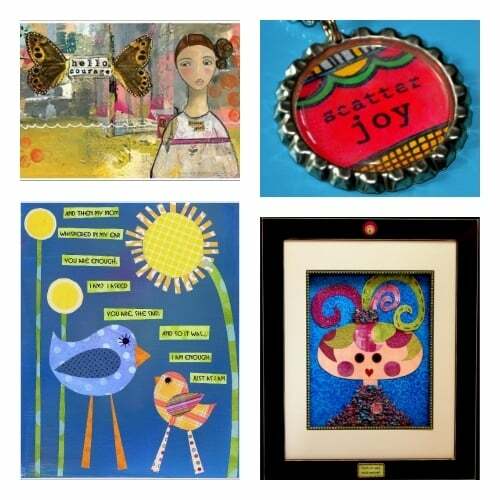 Scatter Joy Necklace ($11, sold out but check out Liv’s other fun items) by Artist Liv Lane. I Am Enough Print ($14) by 3 Wishes Creations. Be Nice ($195) by Artist Lucy Ingels. Modern Custom Digital Wall Art ($15). Personalized Family Tree Necklace ($25). Sterling Silver Custom Cuff Links ($86) created from your child’s drawings. Personalized White Agate Druzy Necklace ($64). 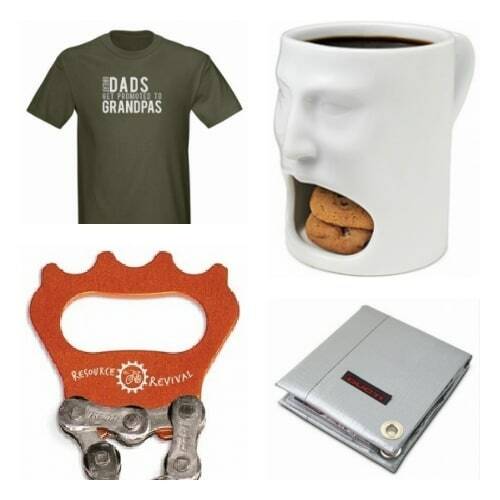 “Great Dads Get Promoted To Grandpas” T-Shirt ($22.99). Whimsical Face Mug ($18). Bike Chain Bottle Opener ($14). Duct Tape Wallet ($22.02). 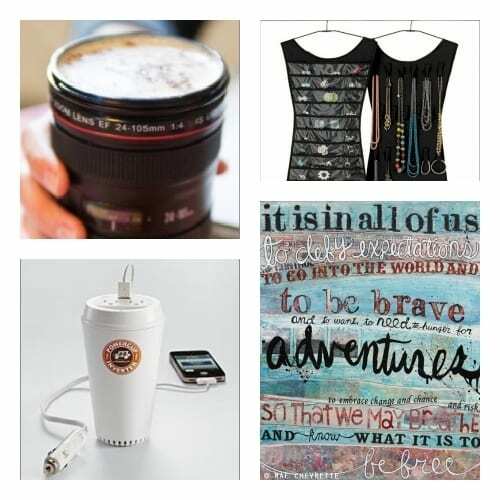 Here are some of the most popular pins from The Mindful Shopper’s Pinterest Page. As you can see, I have interests in all things joyful, comforting, inspirational, and ,beautiful! In addition to shopping, I love interior design, cooking, and crafting, so there are lots of cool pins to reflect all of these interests. Thanks to you, The Mindful Shopper has evolved from a newbie site with a handful of readers to a growing website full of energy and buzz. 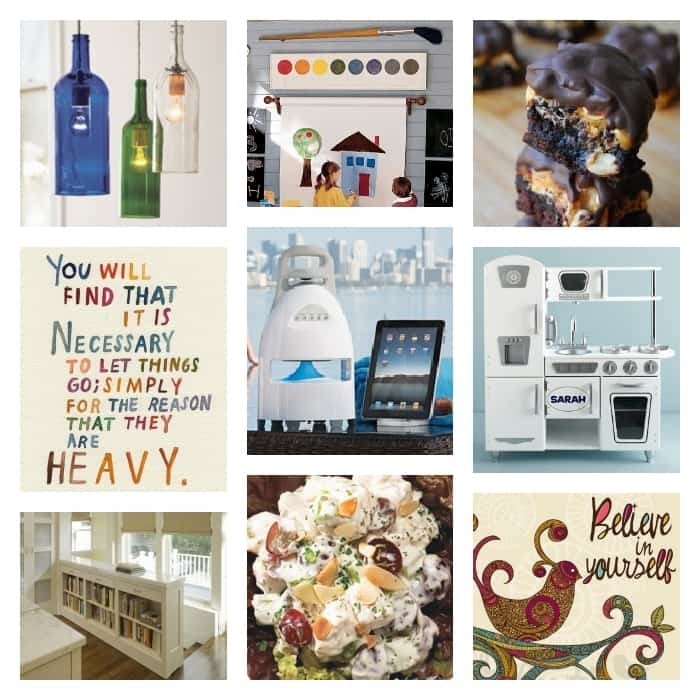 There were some fun happenings in 2012: The Mindful Shopper celebrate a one-year birthday with a $200 VISA Giftcard Giveaway; creation of the Facebook Deal of The Day Posts; launching of The Pinterest Product and Gift Guide; and introduction of The Links I Love Exclusive for Newsflash Subscribers. I promise this year will bring a ton of more fun for The Mindful Shopper readers. I am excited to announce my next series of posts, which will help you organize, declutter, and make your life easier in 2013. I am also finalizing the details for 2013 giveaways including: Wacky Product Photo Caption Contests, Mindful Shopper Post Product Giveaways, and Mindful Shopper Facebook Fan of The Month Contests. 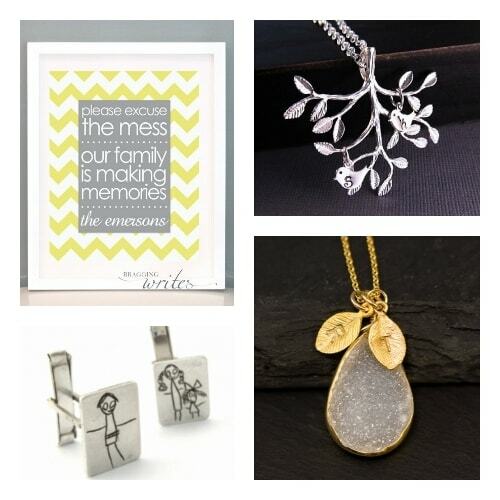 Featured Artist Alisa Foytik and A Fabulous Giveaway! Oh, what a great idea…listing all your picks for the year on one page. I’l bookmarking this for later reference. Thanks!